No really, the future's not ours to see. We’re about three weeks away from the first Samsung Unpacked event of 2019, and the excitement is palatable. 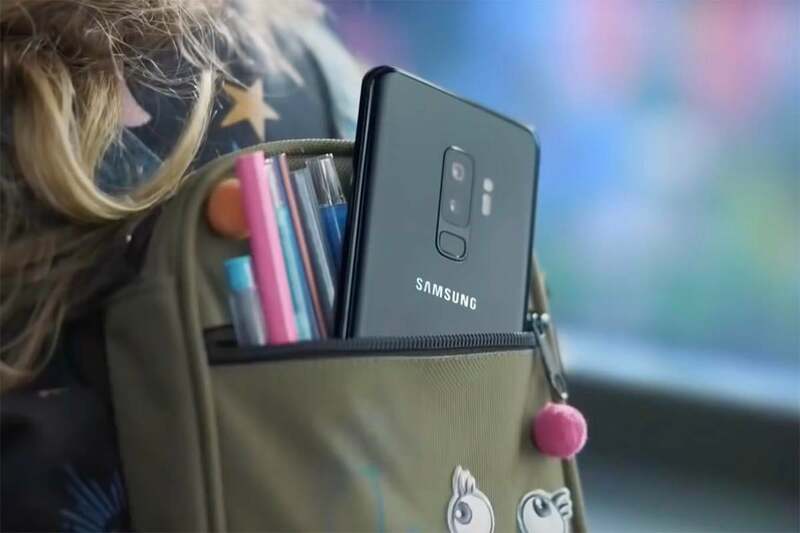 Not only are we expected to get three models of Galaxy S10 with hole-punch screens and triple-camera arrays and a new low-cost model, we also will likely get our first glimpse at the folding phone that Samsung has been working on for the better part of five years. And with the latest rumors, we even know how much they're gonna cost. But so far, the Galaxy F or Galaxy Fold or whatever Samsung calls it will actually be something of a surprise. While the Galaxy S10 has leaked for months from just about every angle, the folding phone has been kept tightly under wraps, with the only information about it coming from Samsung itself during its developers conference in November. 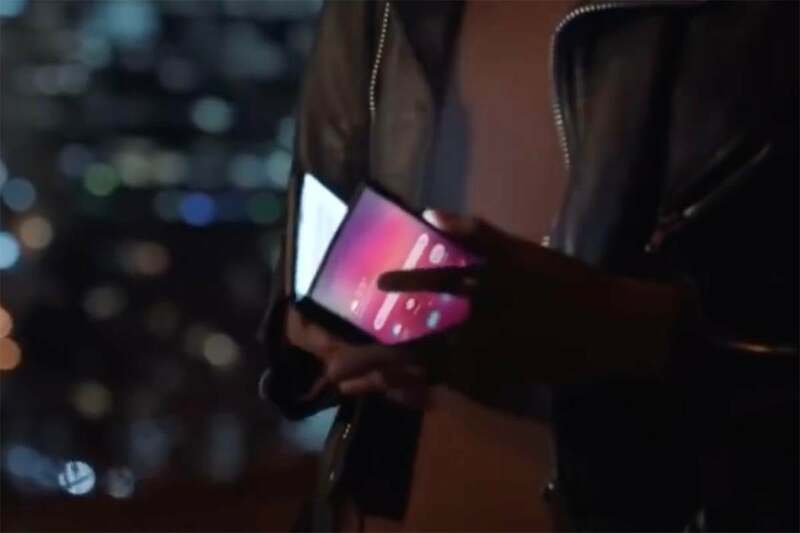 But after an official Samsung video leaked early Friday, the Internet is abuzz with what is purportedly the world’s first look at Samsung’s new folding phone. 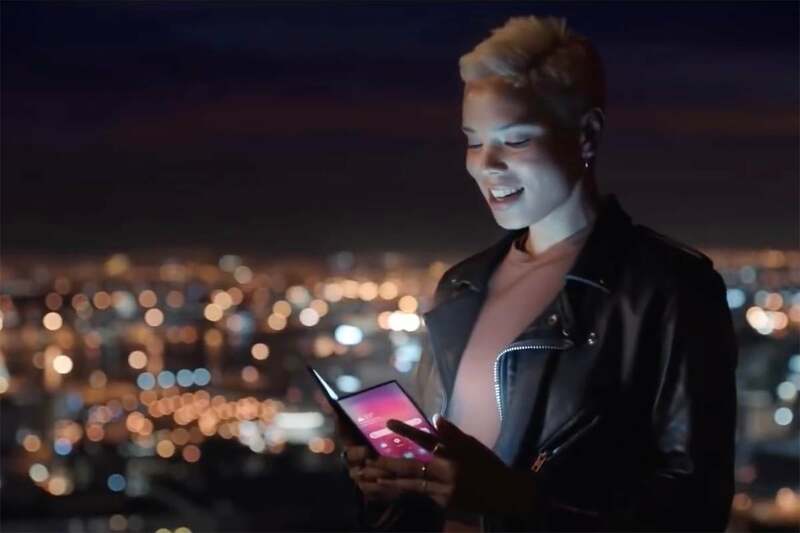 At the 24-second mark of the promo vid—which has since been pulled by Samsung—a woman is seen holding a folding Galaxy phone with what looks to be a near-bezel-less screen, incredibly thin design, and insanely bright display. You might want to believe, but you shouldn’t. But we’re supposed to believe that the folding phone is real? Nonsense. Even if you want to ignore the rest of the video and focus solely on the folding phone, there’s enough evidence to suggest that it’s a fantasy. For one, it’s way too thin. From what we can surmise, the phone in the video is roughly the thickness of a Galaxy S9 when closed with an extremely thin front display. That would be quite an engineering feat. The power Samsung would need to keep a device with a tablet-sized screen running all day is going to need to be larger than a normal phone, so how are all of the internal parts supposed to fit on one side with a giant battery? Next we have the bezels, which look to be about the size of the iPhone XS, with no notch or hole for the camera. Even if you want to argue the the selfie cam could be on the inside, what about the rest of the sensors? From what we’ve seen of the Galaxy S10, Samsung still needs a forehead above the screen for the iris scanner and other sensors, so it’s hard to believe that it magically figured out how to incorporate them into the display for this phone. 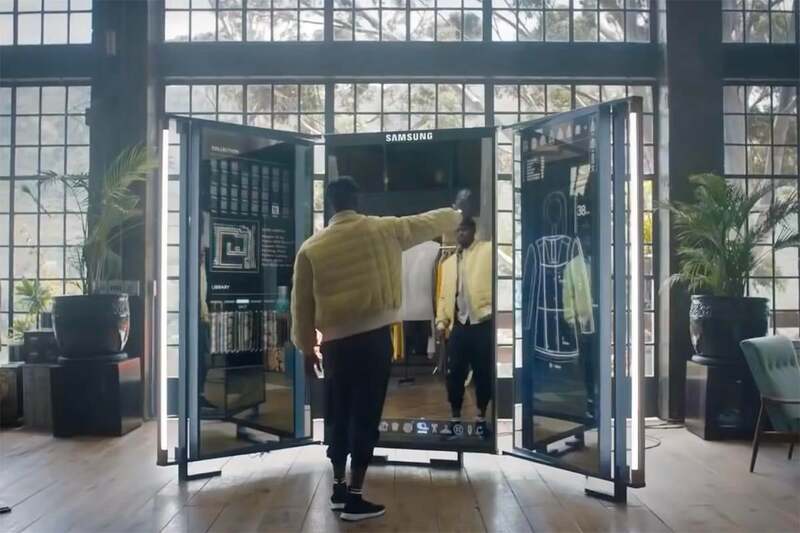 So are we getting AR mirrors at Unpacked too? Then there’s the issue of size. During its developers conference, Samsung shared a few specs of the Galaxy F, most notably that the front screen would be 4.58 inches with a resolution of 1960 x 840 while the inside measures 7.3 inches with a 2152 x 1536 resolution. Based on the way the model is holding the phone in the video, the phone is significantly bigger than than, seemingly as big as a Galaxy S9 Plus. That would make it nearly 10 inches when opened, which raises all sorts of questions about usability. And finally, the phone in the video isn’t really acting like a folding phone should. The front display stays on after it’s opened. The inside display is seemingly showing a different image than what’s on the front. And there’s no status bar on the top of the front screen. But the biggest clue that this video is meant to take place years in the future—other than the song choice that literally says, “The future’s not ours to see” over and over—is the Galaxy S9 Plus precariously placed in the pocket of a pre-schooler’s backpack. No parent in 2019 would let a 4-year-old take an $800 smartphone to school. Hey kid, don’t drop your $800 phone. Whether this is a controlled leak or an actual one, the end result is the same: When the Galaxy F lands in a few weeks and looks nothing like this, try not to be disappointed. Much like the last concept video Samsung made with a folding phone in it, these products are years away from release, if they ever arrive. But hey, at least we have something to look forward to in 2025. This story, "The folding phone in that leaked Samsung video is super cool, but here's why it's not the Galaxy F" was originally published by PCWorld.